In this great ecard we can see a couple standing beside the dining room window with a nice juicy Christmas turkey sitting on the table. However, they stare out of the window looking fed up. "Damn neighbours, always have to go one better!" 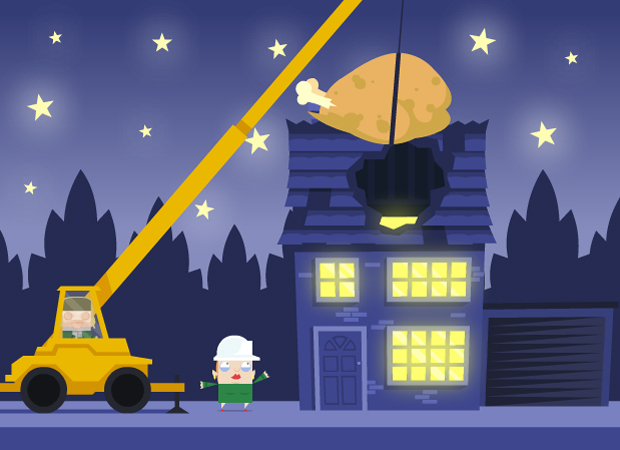 the man says, and as he does we can see a huge crane lower an even larger turkey into the neighbours' house. This ecard ends with "Merry Christmas", send your seasons greetings with this fun e Card.